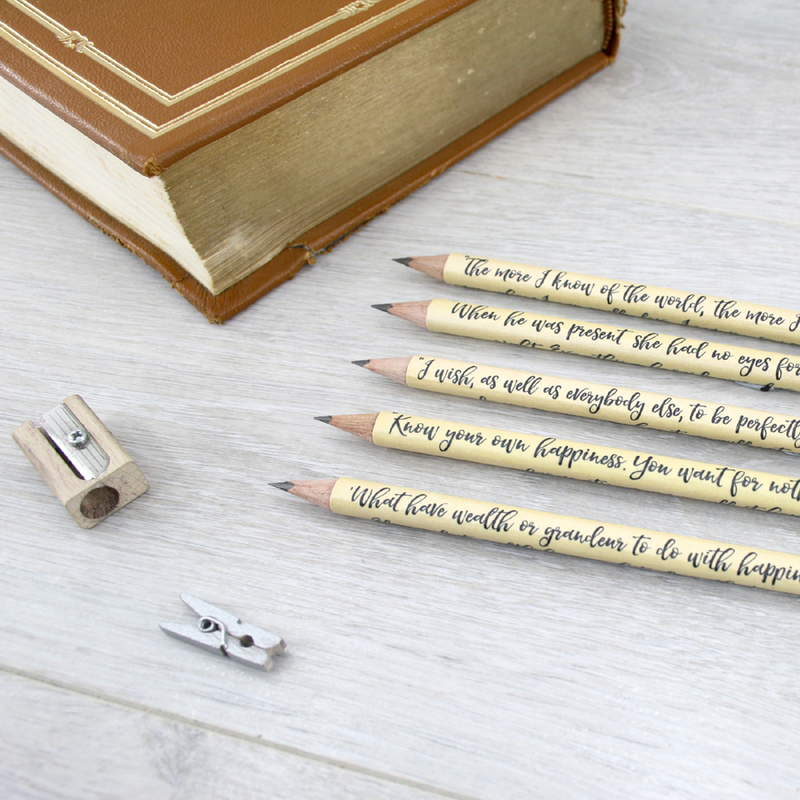 Personalised Quote Pencils. 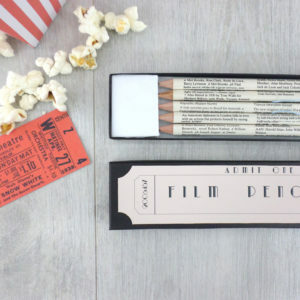 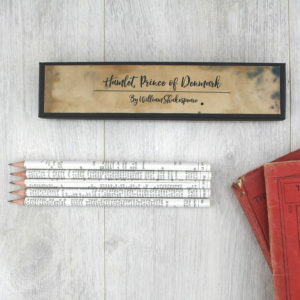 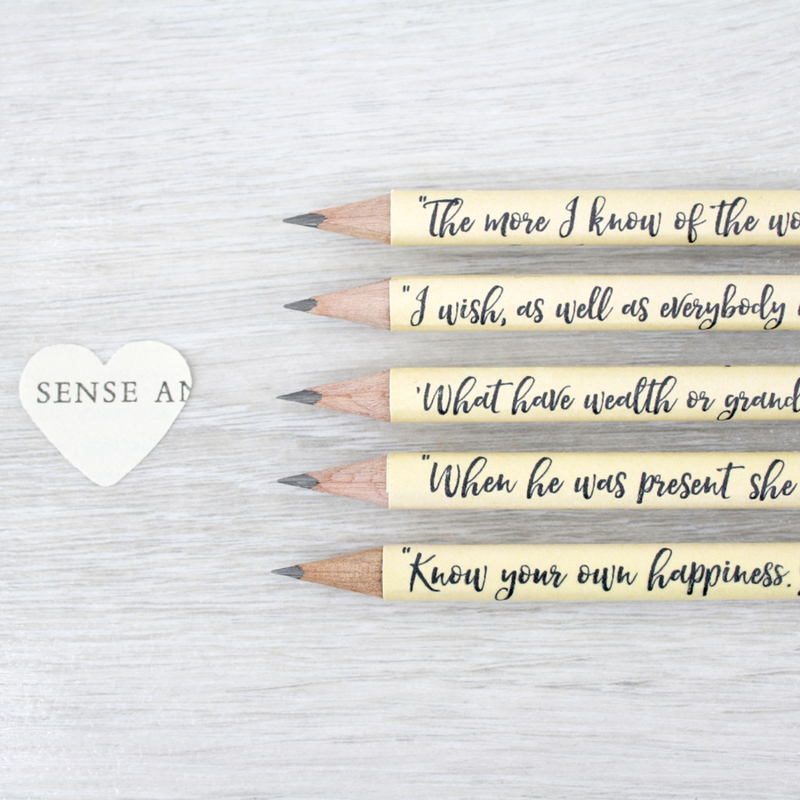 A set of five Sense and Sensibility book quote pencils in a customised gift box. 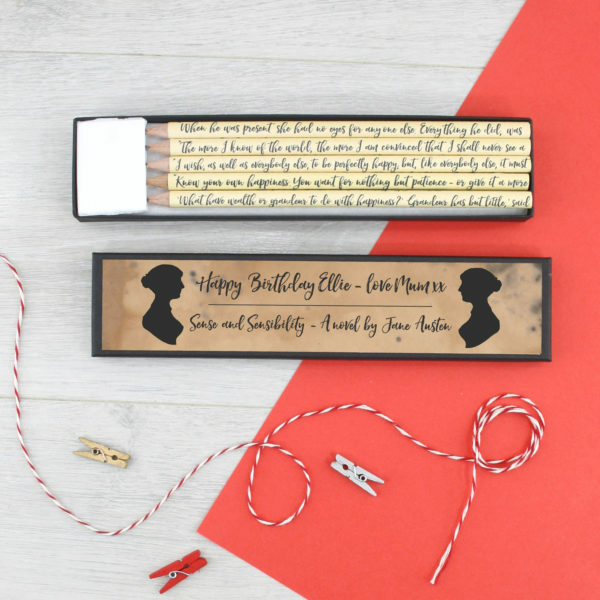 Gifts for bookworms. 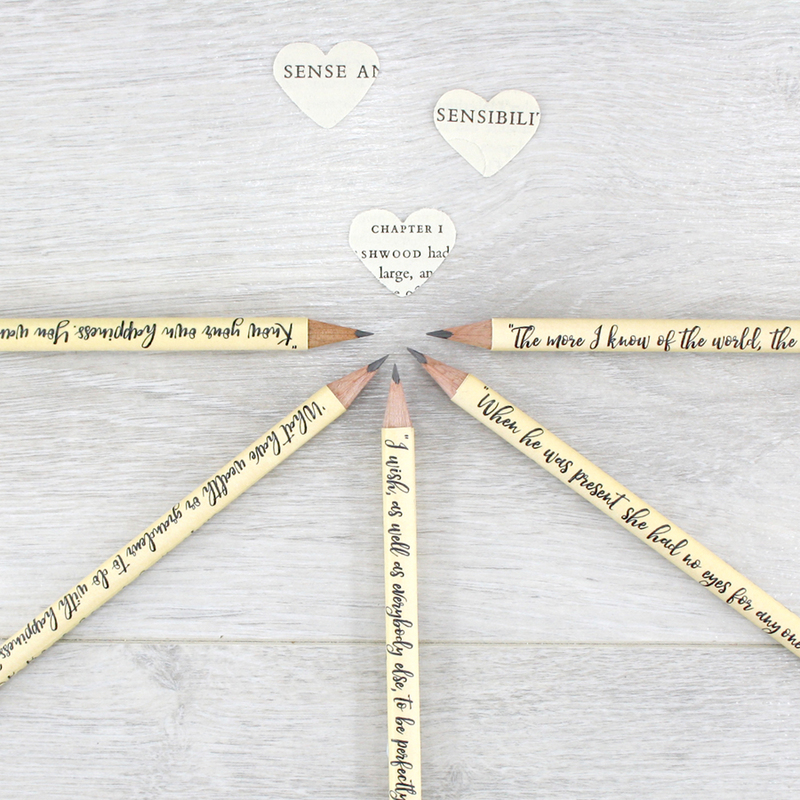 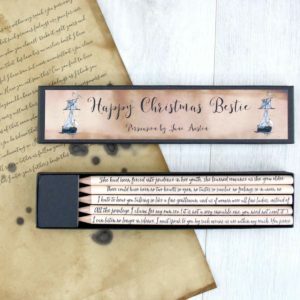 A set of five Sense and Sensibility book quote pencils in a gift box customised with your own wording. 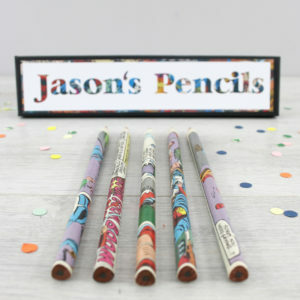 This set make the perfect gift for teachers or as a graduation present. 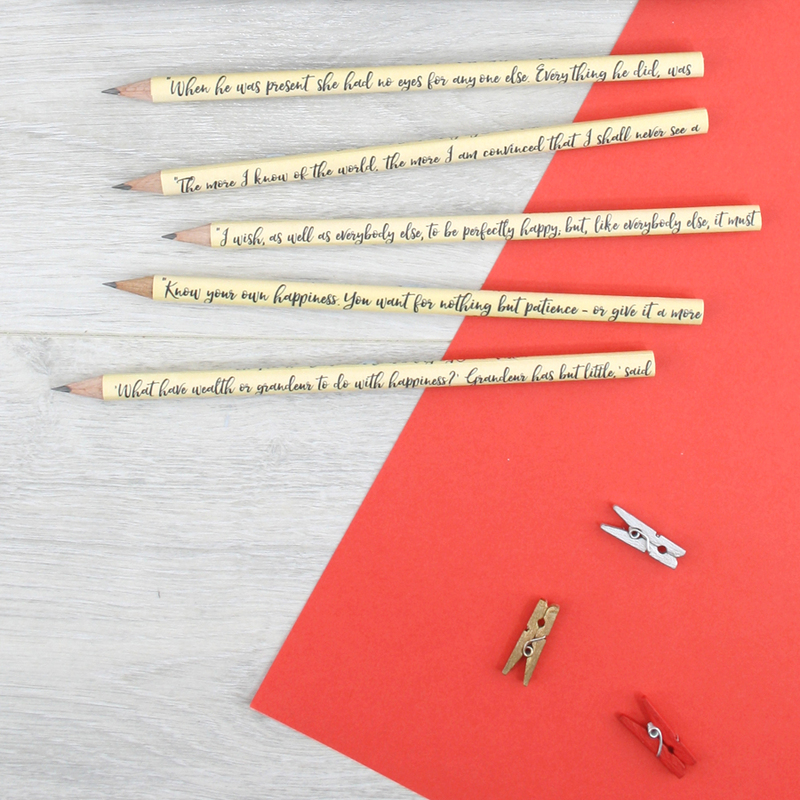 They are hand covered in my studio in Ireland, each one made by hand. 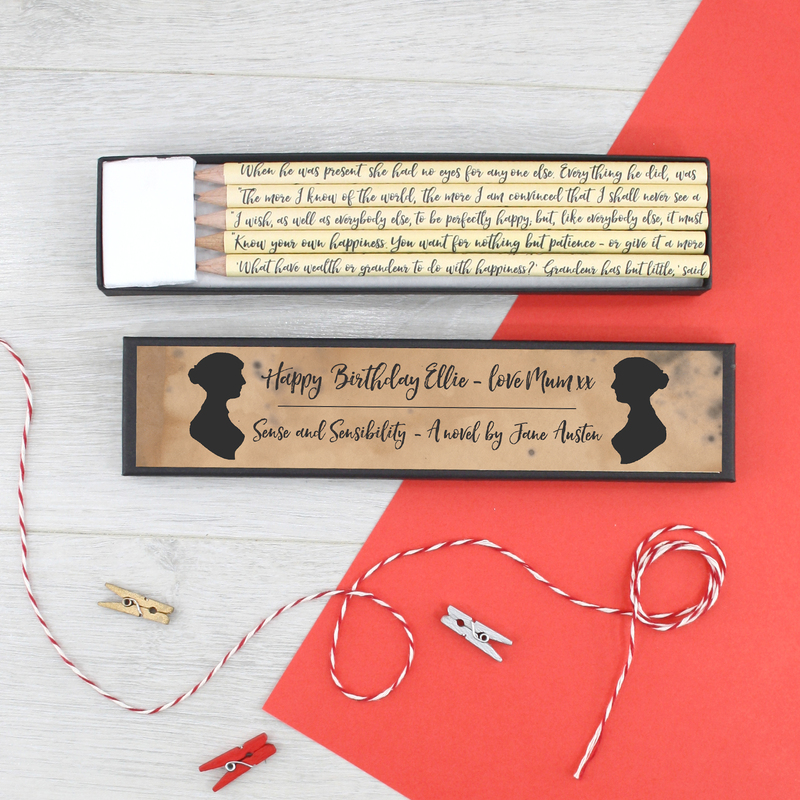 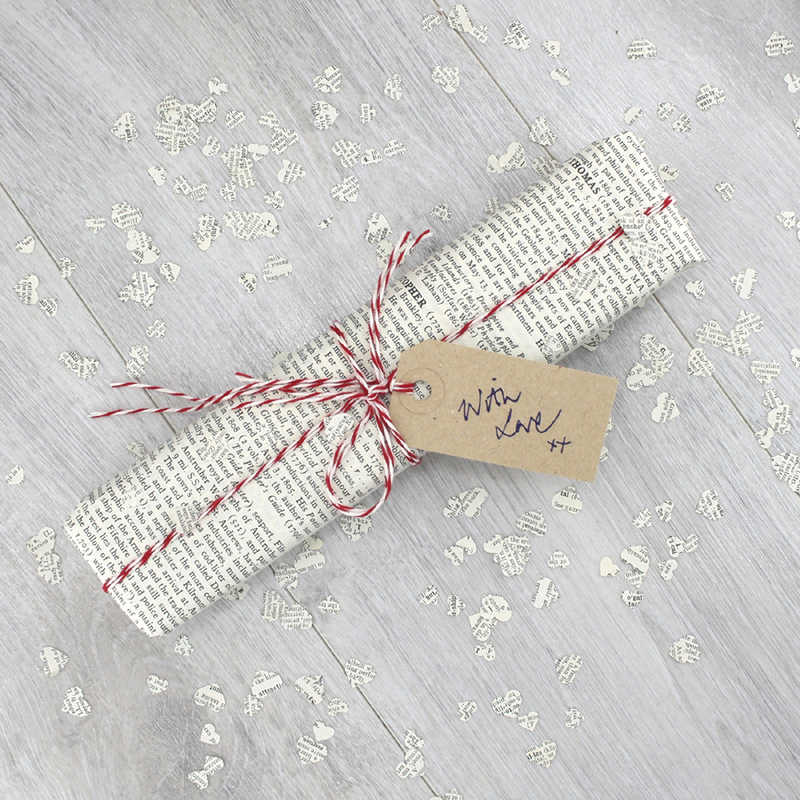 A literary inspired gift for Jane Austen fans and book worms alike. 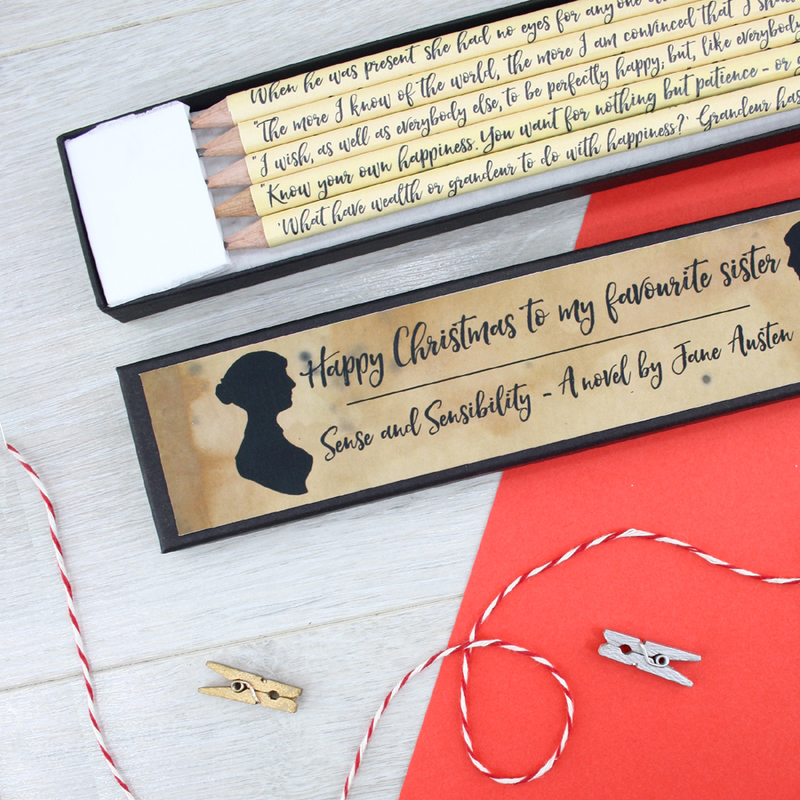 Marianne Dashwood from Chapter 3 of Sense and Sensibility by Jane Austen.